If you don’t need a permanent office yet, or have just begun your business and are watching your budget, hot desking is a great alternative. You can take advantage of a co-working space in a serviced office, with all the advantages of working in a professional office atmosphere but at a price you can easily afford. 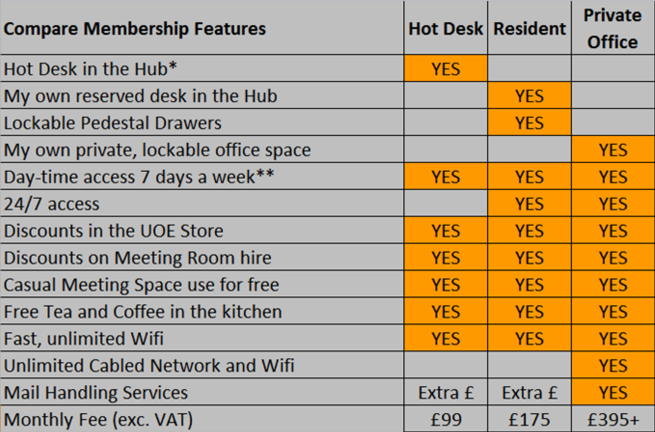 UOE business Hubs in Hertford and, shortly, Stoke Newington have plenty of hot desking space set in a pleasant working environment. You will be working with other like-minded professionals, so it’s also great for business networking. You have two options of pay as you go or unlimited membership. This gives you access to high-speed WiFi, free tea and coffee, as well as big discounts in the UOE Store downstairs. Membership will also entitle you to discounts on our meeting room hire. Hot desks are a very flexible way of working, and we only require as little as one month’s notice. 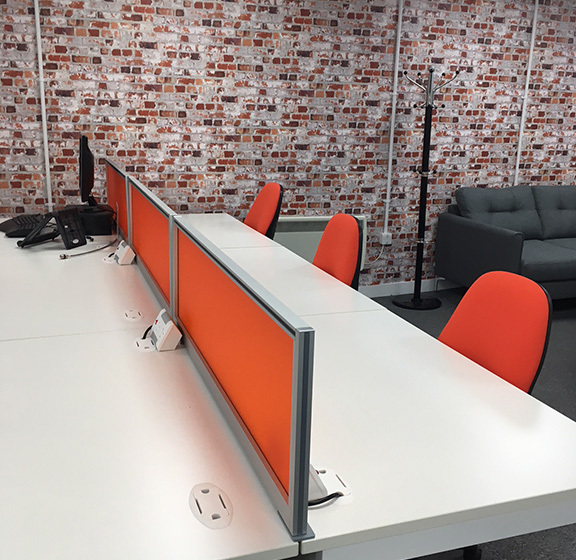 Please contact us now for more information about hot desking with us in the centre of Hertford and to claim your FREE day pass. Rent our small office with capacity for 1-16 people. It’s private and lockable.